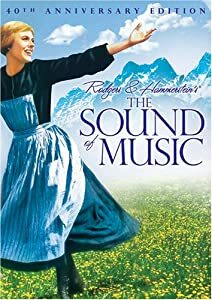 As we wrap up my look at the Rodgers and Hammerstein Collection on Blu-ray, I’m reposting my Mint in the Box review of The Sound of Music. Please note, the Blu-ray in both is beautifully presented, but due to space the only bonus content on the disc in the box set is “Favorite Things,” two commentaries, Sing-Along and Music Machine. If you want just the movie, as well as the other R&H movies, buy the set. If you’re interested in strictly Sound of Music, and want a bunch of fun toys, purchase this set. 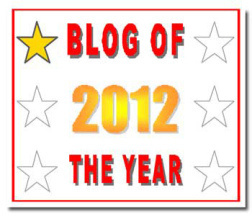 Stay tuned for my final wrap-up and overall summation of the set. I got a fantastic deal on this at Costco, and I’ve always wanted one of these heavy box sets but the prices haven’t been too affordable (I’m looking at you Singin’ in the Rain). The Sound of Music is a flawless movie in my book, and yet this Collector’s Edition goes one step beyond by providing a slew of additional collectibles on top of the film. I recommend this to the hard-core Sound of Music fan, or those who enjoy owning more than the Blu-Ray disc. The Sound of Music follows a flighty nun named Maria (Julie Andrews) who becomes the governess to the seven Von Trapp children. Whether you’ve seen the film or not, you know the basic synopsis of The Sound of Music. The film is a Christmas staple on television, maybe because of the nuns, the spirit of hope, or the music, but it definitely warms the cockles of your heart. The film opens with a beautiful expansive shot of Salzburg highlighting the on-location nature of the film as well as the expansive sets. 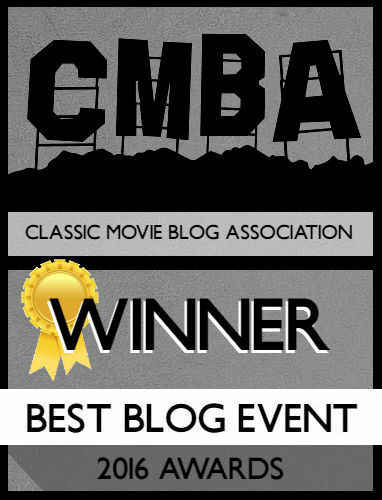 Released in 1965, The Sound of Music embraces CinemaScope, as well as the road show release method popular at the time. It’s a lengthy movie, clocking five minutes shy of three hours, and there are slow parts but not enough to break the fun. 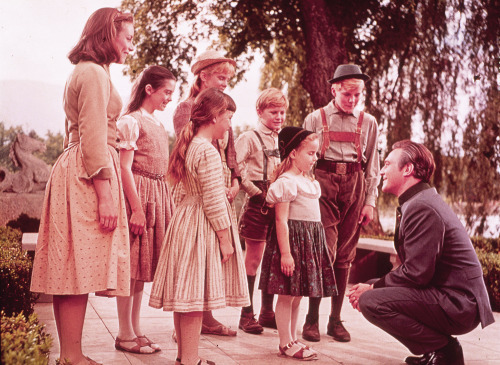 There are two distinct halves to the movie: the first hour is comprised of Maria interacting with the Von Trapp children, turning their world upside down, and making them embrace fun and singing. Maria is a free spirit (she sings “without permission”) saddled with teaching seven children who don’t trust her. I understand her frustration! Andrews soars as Maria making this is my second favorite role of hers. She’s bubbly, and a fantastic mother figure throughout. I actually saw this for the first time last year (I know! ), and was surprised to see Christopher Plummer as the Von Trapp patriarch. He’s astounding, and easy on the eyes, I must say. He’s gruff and domineering in the opening half, but it’s always evident he loves his children. It’s no secret Plummer’s singing voice was dubbed, but the performance of “Edleweiss” is my favorite in the film. The acting of the children is mixed, running from good to fair. Charmain Carr, who plays the eldest, Liesl, is a superior dancer but a fair actress. I love the choreography of “Sixteen Going on Seventeen,” but when Carr’s not dancing she looks as if she’s reading her lines like a movie of the week. The other children have their own individual moments to shine (except for the boys who are ignored). The second half is a jarring segue into a darker tone permeating the rest of the movie. The Nazis are present throughout, but by the two and a half hour mark their presence is unavoidable. The problem is the Von Trapps are never placed in any true danger. Yes, the Nazis wait outside their house for them when they plan on escaping (I have to wonder how many other families were able to make it out since the entire Nazi fleet of Salzburg was stationed outside the Von Trapp home), and there’s a tense stand-off in the abbey, but it fails to amount to anything. The film presents such a light tone throughout the preceding two hours you’re never given any indication the film is going to end badly. And immediately after the stand-off, they’re trekking through the mountains in harmony. I’m not saying I wanted the Von Trapp’s to end up in a concentration camp or anything, but the two halves don’t gel; they live happily ever after. The 45th Anniversary Edition comes with the DVD, the Blu-Ray, and a CD containing the soundtrack. I didn’t own the soundtrack before, so it was nice to have a legitimate copy I can import to my iPod. The Blu-Ray is amazing with full sound that’s too loud at times but otherwise perfect. The colors are lush and vibrant due to it’s CinemaScope filming. I noticed moments where everyone was outside, the skin tones had a glare, but it doesn’t happen often. The film is light on bonus material. There are commentaries with Julie Andrews, Christopher Plummer, and director Robert Wise that I haven’t sat through yet, but I look forward to it. The big selling point, weirdly enough, is Your Favorite Things: An Interactive Celebration. It’s a series of different “modes” to watch the film in: Making Music: A Journey in Images shows never before seen images in the corner while the film plays, the Sing-Along Experience (song lyrics run along the bottom), Many a Thing to Know (a Pop-Up Video-esque feature involving trivia on the movie and the real Von Trapps), and Where Was It Filmed, a quiz testing your knowledge of the movie. You can also go to individual scenes and see what modes are offered. It’s a fun novelty worth watching once, but it has little replay value unless you’re watching with a group. There’s also a feature called Music Machine, playing all the musical sequences alone, as well as Sing-Along Mode. I didn’t understand why Sing-Along Mode is its own feature when it’s the same thing as the Sing-Along Experience in Your Favorite Things. As for the box set itself, I am in love! The entire set comes in a large box that flips up like a keepsake box with My Favorite Things emblazoned along the top. Each box has a number attached to correspond with the total copies sold. It also comes with a sheer certificate of authenticity. Inside the box, along with the DVD/Blu-Ray, is a packet of photos entitled Snapshots from Salzburg. They’re mock postcards showing images from the film with fun sayings like “Greetings from Salzburg” on the front. There’s also a booklet providing a plot summary of the movie with more images. I wasn’t exactly sure what it was, but it’s nice to have if you miss something in the film, or want to quickly read what happens. On top of all that is a book called “A Few Of Our Favorite Things” detailing the real Von Trapp family, the origins of the Broadway musical, the adaptation to film, and filming in Salzburg. It’s an informative book with beautiful images of the family, the original Broadway cast, and behind the scenes photos. The best reason to buy this, in my opinion, is the porcelain (it felt like it) music box inside. It says “My Favorite Things” on the top and plays the song of the same name. I really like music boxes and felt this was a nice present. The Sound of Music is a delightful film, although I know the runtime and the cheerful ending can put some people off. If you’re a die-hard fan I highly recommend getting the 45th Anniversary Box Set. It’s affordable at the moment, and for what you get, there’s a few “favorite things” to add to your collection. It’s my favorite film. I was a kid when I saw it first of the hundreds of times I’ve watched it over the years. I love Julie Andrews. Have been a fan since the first time I saw her. I do not own the 45th Anniversary Set. I know what I am going to put on my Christmas wish list. And it that doesn’t work I will just have to buy it myself. You did a fantastic job telling the story of both the film and the special 45th. I do enjoy your perspective on films and all that go with them. Thanks. Merry Film watching and have a Great Holiday Season. Jennifer j.k.
Kristen, I knew we agreed on something! This sounds like it definitely needs to be on my Christmas list, like pronto! Haha, I heard you were talking about my controversial White Christmas review. The box set of Sound is a must-own in my opinion. This set has been on sale on Amazon for a few months now. I haven’t checked it’s status recently, but it’s probably still on special offer. I think too many box sets were made and Amazon is trying to clear out their stock.